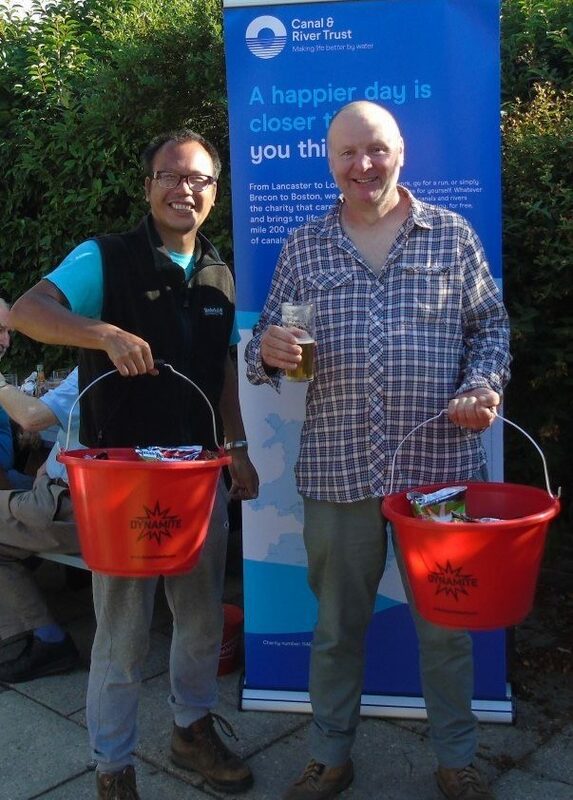 A sun drenched Grand Union Canal in Bedfordshire was the venue for the latest round with anglers spread across two sections – Tring and Luton. Lots of fish were caught on what was a scorching hot day with no dry nets recorded. An outstanding team performance from Sau Phung and Steve Crawley topped the day and qualified for the grand final, with both coming second in their respective Red Lion and Ivinghoe sections. Sau drew in front of the cottages at the Red Lion and caught well both short and at 11m catching skimmers, gudgeon and some roach to make an impressive 4kg 880grams. Steve drew at the top of the Ivinghoe stretch and made the most of his decent boat draw. Fishing nearly 16m across to the boats Steve managed two decent sized carp, which made up the majority of his 6kg 240 grams. To add further excitement to the match the previous two carp weren’t the only big fish caught on the Ivinghoe stretch. Drawing end peg 20 Phil Speakman had an incredible match landing three carp, one of which topped the scales at 10kg 450grams or 23lb in old money! 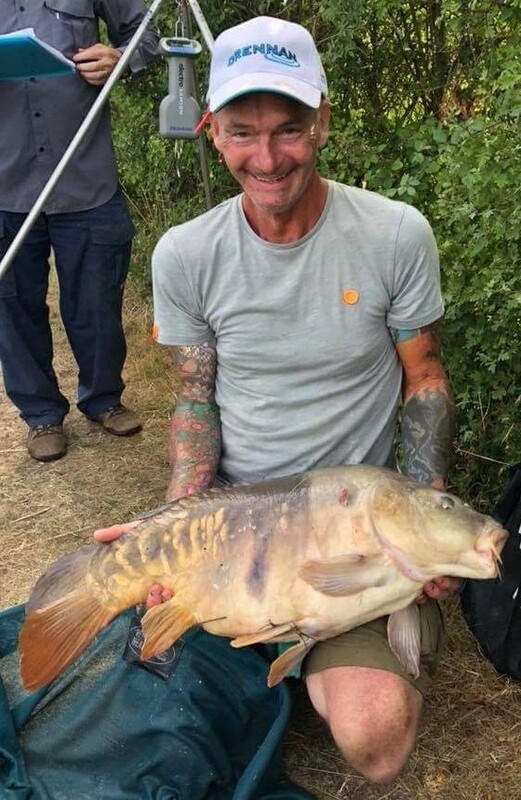 We think this is the largest fish ever caught since the event’s conception and with the further two lumps he weighed an amazing 25kg 160grams for an easy first in section. Backing him up was the ever-consistent Simon Willsmore who drew peg B7 on Red Lion stretch. Simon caught very well at 5 meters with over 300 small roach, perch gudgeon and skimmers for a hard earnt 3kg 120grams and a crucial fifth in section. On another blazingly hot weekend the seventh leg of the Dynamite backed AT/CRT pairs made its way northwards to the mighty Rochdale Canal on the Todmorden lengths. A 36-man field were drawn across A Section (Whitehouse and Deadlength) and B section (Derdale and Sandholme). 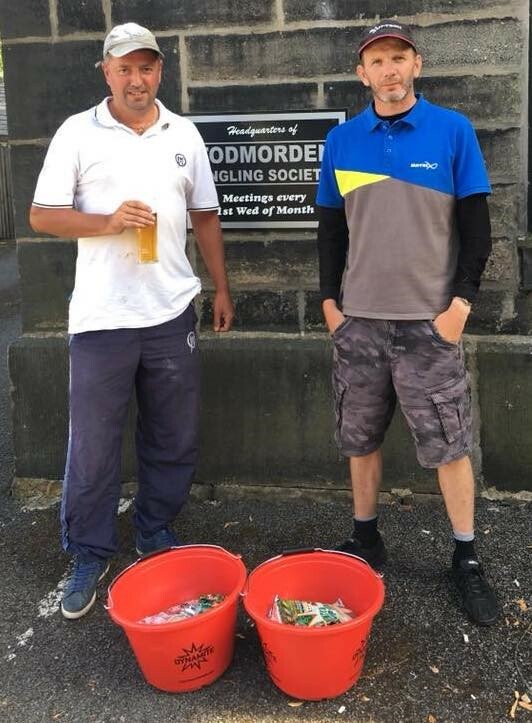 The winning pair on the day were Jonathan Jowett and Kerry Kirkwood, with Jonathan the standout performance of the two anglers. Drawing peg 12 on Deadlength stretch of A section, John snuck out a section win by a mere ounce with 10lb 14oz. This was made up of one bonus skimmer and netful of small roach with a long bread line and a long maggot and groundbait line being the key tactics. Kerry backed up John nicely off peg B8 with a very respectable 6lb 10oz and 12 points. The second qualifying pair on the day were Dean Meadows and Jason Irving. The pair were fortunate to claw through on weight countback, with a 3lb superior weight to Stuart Bird and Dave Trafford. Both men employed similar tactics, in that they fished well across the canal between 12 and 14 meters and cupped in worm and caster. Dean caught a decent bream and skimmers for his 14lb 11ozs section winning weight off peg A16 and Jason caught perch and roach for his 4lb 2oz and his eighth place.